You never celebrate a win until the game is won. That’s a lesson French boxer Sabri Sediri learned the hard way. 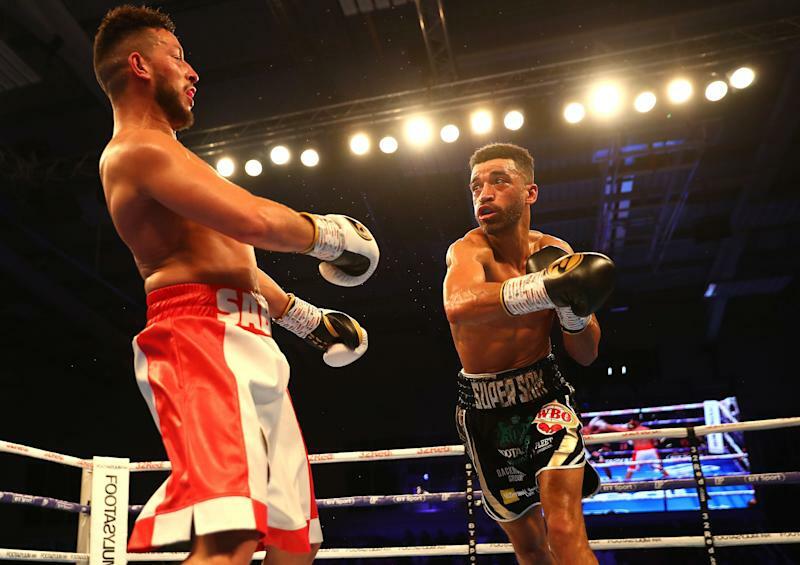 Sediri was fighting Sam Maxwell on Saturday night, and was cruising to a win after knocking Maxwell down twice. In the final minute of the 10th round, he was so confident that he was taunting Maxwell, dancing around him and even putting his hands behind his back. Maxwell looked woozy, like he was just waiting for the bell to ring so he could collapse in a heap. But looks can be deceiving. While Sediri celebrated the win he was certain he was about to earn, Maxwell took advantage and knocked Sediri off his cocky perch — literally. Sediri was taken by surprise and immediately hit the ground once Maxwell’s glove connected with his face. He was sprawled out on the canvas almost like a cartoon. The crowd went wild and Maxwell shouted in triumph. He did what everyone has wanted to do at some point: Punch out an overconfident showboater. But there’s an even sweeter ending. Sediri was slow to get up, and when he made it back to his corner, the referee stopped the fight and declared Maxwell the winner by TKO. Maxwell won the vacant European Super Lightweight title. As for Sediri? He probably wishes he had that last minute of the 10th round back.